WHAT a great time to be a sports fan. The NRL season is underway and AFL is just around the corner. 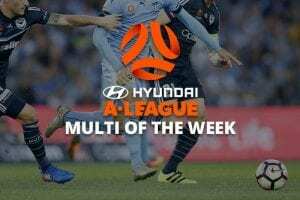 We are nearing the home stretch in the A-League and all the major football divisions of Europe. The US is in the grip of March Madness and golf’s most prestigious event, the Masters Tournament, is not far away. Let’s see what kind of value we can enjoy this week at Australia’s best online bookmakers. Sportsbet.com.au has already dished out $970,000 in early payouts on losing teams in the NRL. You can boost that figure this week if your head-to-head pick leads by 12 points or more at any stage in the game. The bookie also has a $50 bonus refund for NRL Same Game Multi bets of three legs or more where only one leg fails. Ladbrokes is paying +400 Mega Multi odds for the Penrith Panthers, Manly Sea Eagles and Canberra Raiders all to win. You can also claim early payouts on head-to-head bets if your team scores the first two tries of the game. 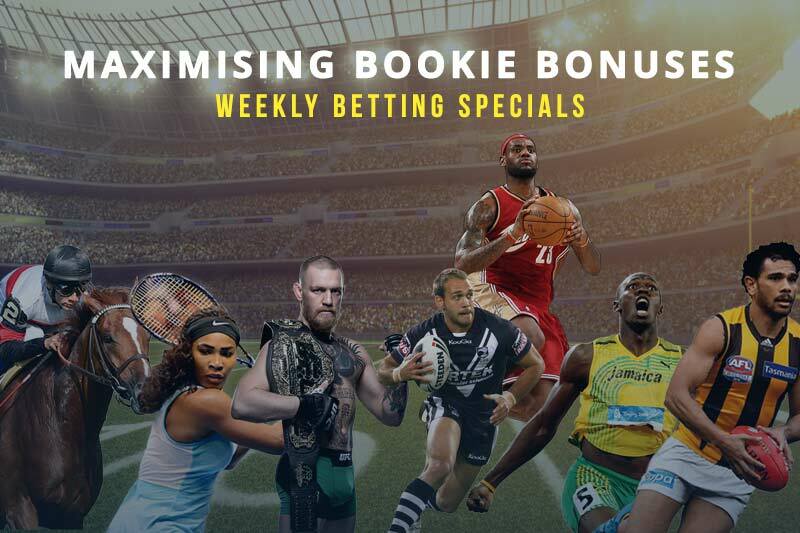 For selected matches throughout round two, William Hill is offering a $25 rebate in bonus points for teams that lose after leading at any time. And if your pick leads at 60 minutes and loses the game, Palmerbet will match your stake with up to $100 in bonus bets. Sportsbet’s 24 Up special is back for the 2018 AFL Premiership season. If your team leads by 24 points or more at any stage of the game, you get paid for the win regardless of the end result. There is also a $50 refund bonus for AFL Same Game Multi bets of three or more legs where only one part misses out. Back a team to win the flag at William Hill and get rewards points for every game they win during the season. The more you bet, the more points you receive for each win. For example: a $20 bet will get you 40 William Hill Rewards points per win, while a $70 bet will get you 200 points per win. Sportsbet is offering big value on basketball parlays for the entire month of March. If you pick a multi of at least four NBA or NCAA legs and only one leg loses, you can get up to $50 back in bonus bets. Ladbrokes punters can claim up to 10 extra Odds Boosts per day on sport and racing multis all month long. And if you pick a March Madness multi of three or more legs on selected days, William Hill will match your stake with up to $25 in rewards points if only one leg fails. As usual, Ladbrokes is flush with soccer betting specials. You can take enhanced odds of +325 on high-flying Sydney FC and struggling Stoke City both to win this weekend. There are extra Odds Boosts available on first goalscorer and correct score bets for all FA Cup games, as well as Ladbrokes Footy Freaks specials for EPL and A-League matches. If you put money on either Stoke City or Everton this weekend, Palmerbet will refund your stake with up to $50 in bonus bets if your team loses after leading at any time. Terms and conditions apply to all offers. Some states excluded.